The ProMaker P4000 X offers the fastest scanning speed and highest build rates to meet industrial needs, featuring best-in-class, fully digital scanning technology, high laser power and large effective build platform. This selective laser sintering printer delivers state-of-the-art, industrial production capabilities for functional prototypes and rapid manufacturing. ProMaker P4000 X HIGH PERFORMANCE AND PRECISION WITH THE BEST THERMAL STABILITY The ProMaker P4000 X offers the fastest scanning speed and highest build rates to meet industrial needs, featuring best-in-class, fully digital scanning technology, high laser power and large effective build platform. 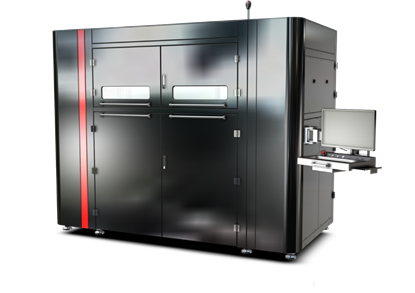 This selective laser sintering printer delivers state-of-the-art, industrial production capabilities for functional prototypes and rapid manufacturing.